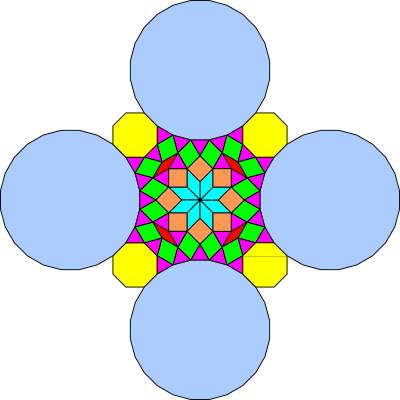 The Starburst tiling is constructed from a "jewel" that is a 24-gon with four bites taken out of it. 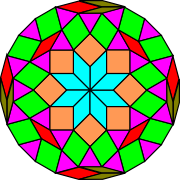 Using the 12-rhomb (red) and the 24-rhomb (brown gold), I have added back the bites to create a very interesting (and beautiful) decomposition of the 24-gon. 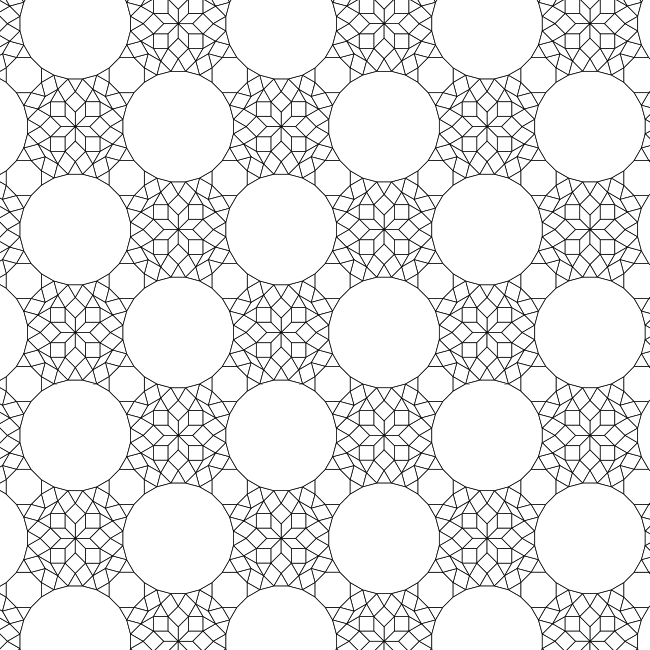 This tiling, sent to me by Robert Fathauer, has a central star constructed from eight 8-rhombs. 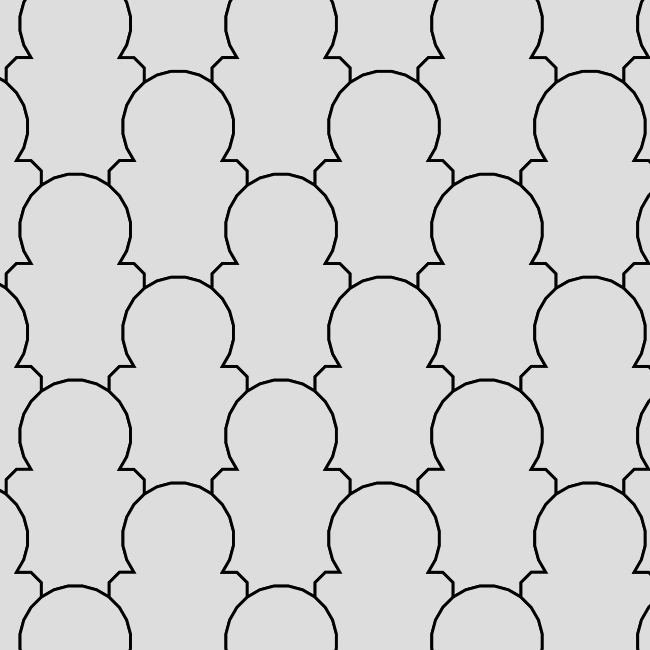 As is often the case, the tiling is constructed mainly from a convex polygon with some "bites" taken out of it. 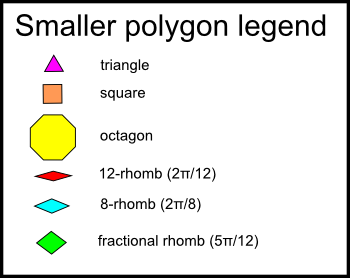 When the bites are restored, the convex polygon turns out to be the 24-gon itself! 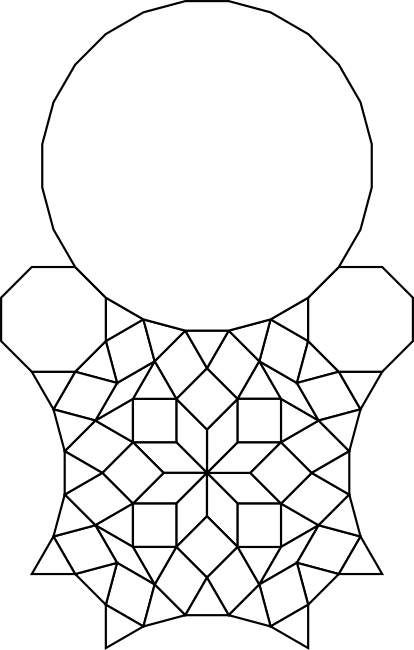 If we replace the 24-gons in the Starburst tiling with the 24-gon decomposition and the octagon is also decomposed into rhombs, we can derive a beautiful plane tiling that consists entirely of rhombs and triangles. I've included an image of this tiling as well below. 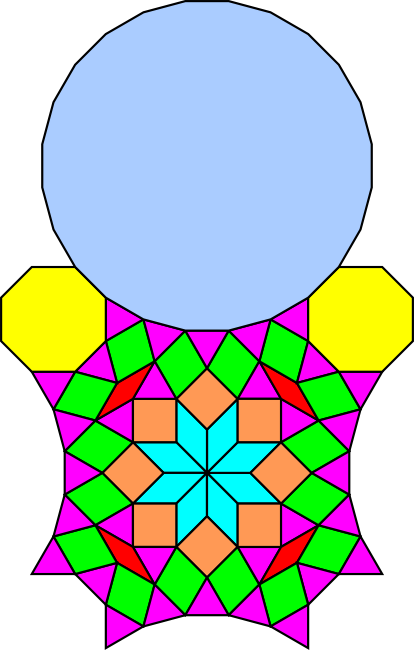 In order to construct this tiling we also need the 24-rhomb (coloured brown gold).